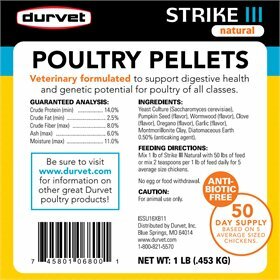 These veterinary-fomulated poultry pellets support digestive health and genetic potential for poultry of all classes. 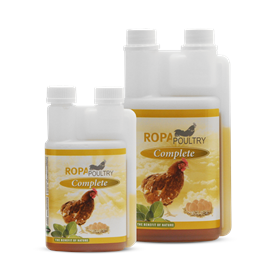 Ingredients like garlic and oregano and included because of their antifungal, antiviral and antibacterial benefits. 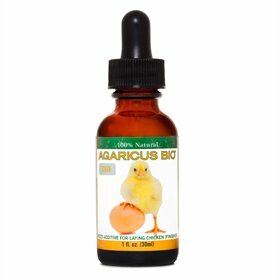 Wormwood, clove and beneficial yeast microbes are included to improve digestion. 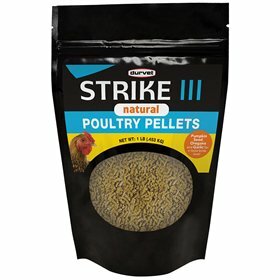 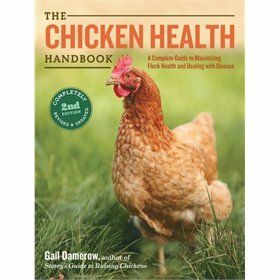 Feeding Directions: Mix one pound of Strike II with 50 pounds of feed, or 2 teaspoons for one lb of feed daily for every 5 average-size chickens. 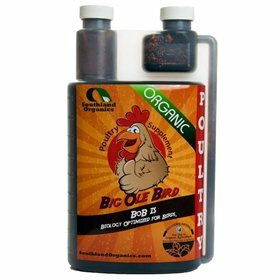 Ingredients: Yeast Culture (Saccharomyces cerevisiae), Pumpkin Seed (flavor), Wormwood (flavor), Clove (flavor), Oregano (flavor), Garlic (flavor), Montmorillonite Clay, Diatomaceous Earth 0.50% (anticaking agent).